The women’s team is continuing on the momentum built at the US Open in May, 2018 and the Bermuda Open in April, 2018. Head coach Elisabeth Rae said, “This is a very young team with a tremendous amount of potential. 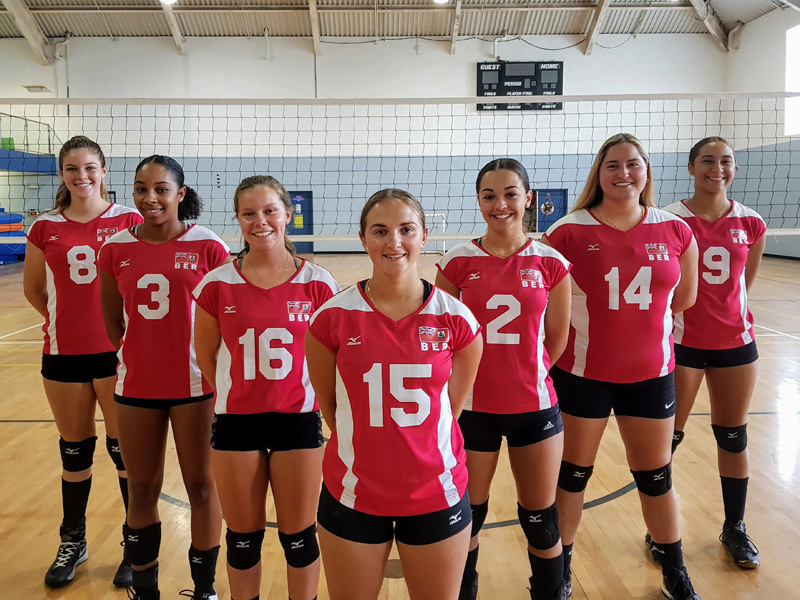 The ECVA Championships will be a great experience for them and we are excited to see how they stack up against the other islands in the Eastern Caribbean”. The team will be lead by team captains Sharri Weldon and Jade Weaver. Special thanks to BEST Shipping for sponsoring the team bags for this season and to Zurich for the support. The BVA will be attempting to livestream matches on their Facebook page [pending good WiFi at the venue]. Please tune in.